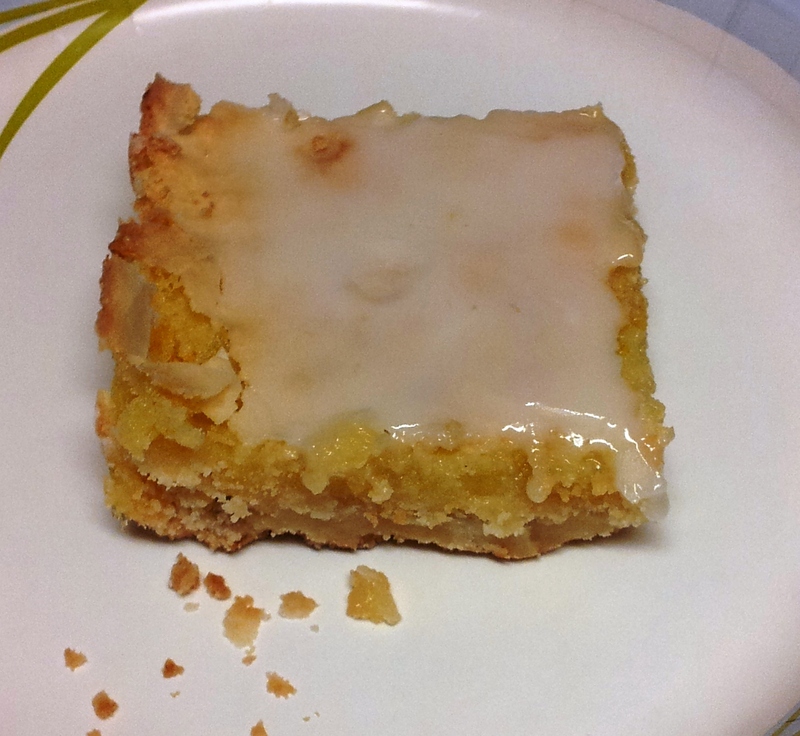 Lemon bars remind me of my mom. My mom passed away 31 years ago but I still think of her when I eat lemon bars. I was very young but I can remember the sweet but tart bars with the slight bite, almost a crunch to the topping. I've tried to recreate the memories and the bars for many years now. I don't think that you can really re-create a memory from when you are 11 years old but I've been having fun trying! I found this recipe and knew I had to try them right away. I loved that there was a gluten free option. These bars are delicious! 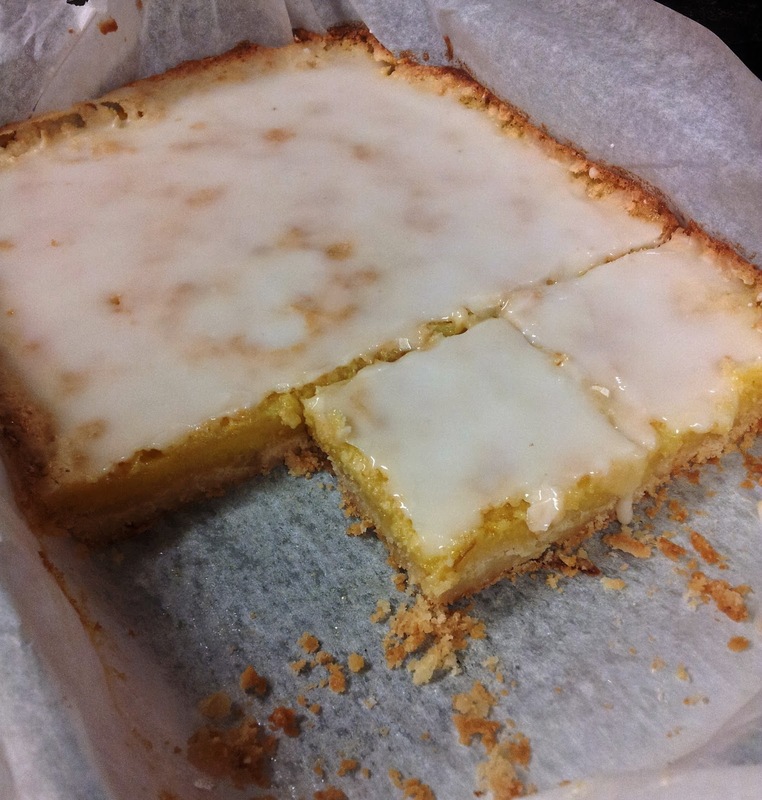 One of the best lemon bars that I've eaten. They may not be moms bars but they sure are close! * If you are not in need of a gluten free recipe, simply substitute regular flour. Heat oven to 350 degrees. Combine the butter, sugar and lemon zest in a mixing bowl and beat until combined. Add the flours and the beat until until the mixture is crumbly. 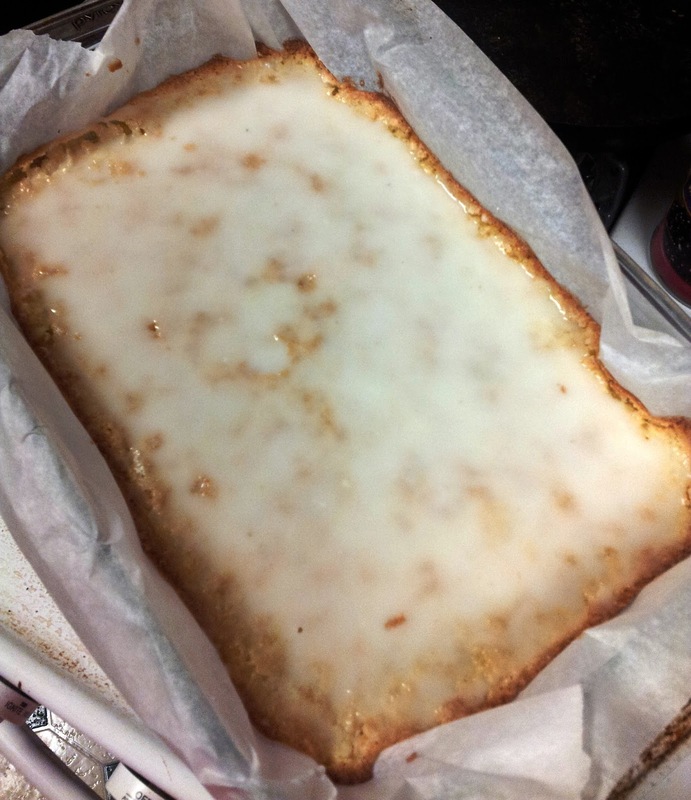 Press the crust into the bottom of a parchment lined or an ungreased 9x13 pan. Parchment paper will make slicing the bars and removing them from the pan much easier. Bake for 25 minutes, until light golden brown. While the crust is baking, in a large bowl lightly beat the eggs with a whisk. Add the remaining ingredients and beat with a whisk until combined. Remove the partially baked crust from the oven and pour the filling over it. Return to the oven and bake for an additional 25-30 minutes, until the top is light golden brown and starting to crack around the edges. Let cool completely, at least 1 hour. In a small bowl, stir or whisk together the powdered sugar and lemon juice. Add more lemon juice, by just a few drops at a time, until the glaze is a pourable consistency. Spread the glaze over the cooled bars and then let it set for at least half an hour before slicing. Cut into bars and store in the refrigerator. Bars can be served cold or returned to room temperature first. Enjoy!